Architectural styles are dispersed in a variety of ways in popular culture. Only rarely does it involve direct connection with a particular example of that style; the mechanism far more often involves publication—books, periodical, newspapers. One of the more interesting and direct is connected with the 19th and early 20th century phenomenon of architectural competitions. From my perspective architectural competition are valuable for two reasons: first, they represent a cross section of architectural thinking at a moment in cultural evolution. The Chicago Tribune Tower competition of 1922, for example, invited architects from around the world to submit ideas for the new Chicago headquarters of the self-described “World’s Greatest Newspaper”. The submissions were published in a handsome volume for all to appreciate but also as a stylistic slice of the times. One byproduct of the competition concerns the second prize winner Eliel Saarinen who, on the basis of his new North American notoriety emigrated to the United States from his native Finland, bringing with him his young son Eero who would become a major figure in the development of Modernism. 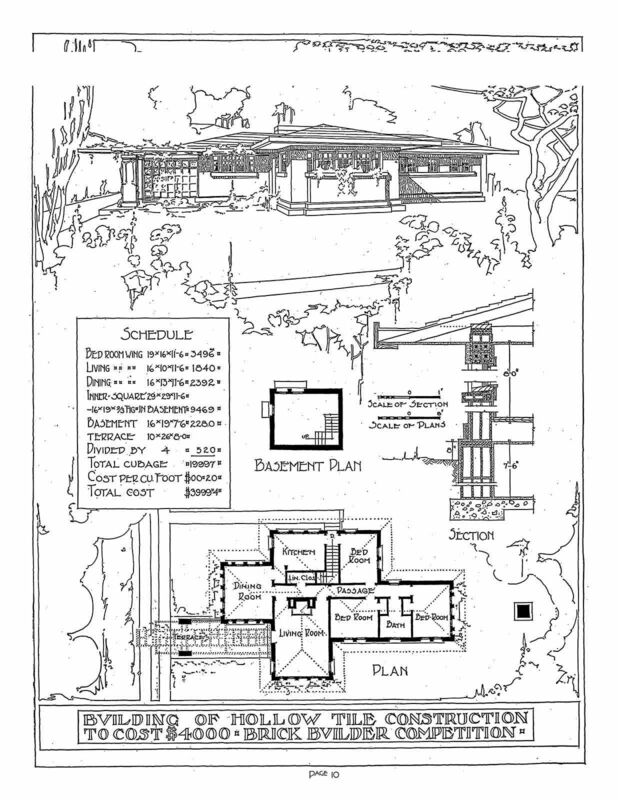 Their second value is closely related but concerns a building type rather than a stylistic choice. Like the aforementioned corporate competition—the design of a skyscraper—competitions are most often focused on a particular building type. And among those, some of my favorites were sponsored by the manufacturers of building materials and their purpose was to promote the use of those materials. The White Pine Manufacturers Association, for example, or the Indiana Limestone Institute sponsored such competitions. And their results—published in architectural or trade periodicals or as stand-alone publications—can be used to assess the state of the art for, say, single-family residential design. I’m appending four illustrations that are of special interest to me, because they are all in the Prairie School style of Midwestern Progressivism. 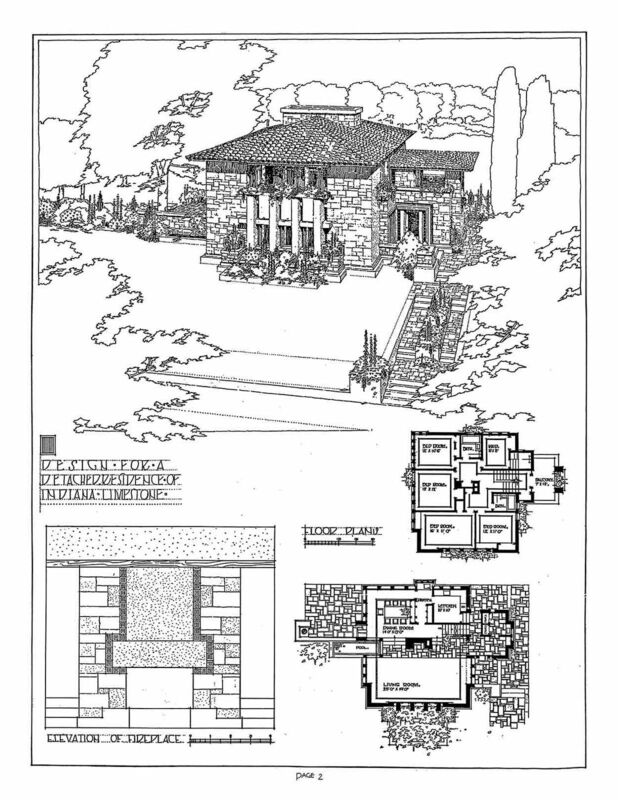 Three of these were the work of Russell Barr Williamson [1893-1964], a Frank Lloyd Wright apprentice during the WWI years. If I’d had my poop in a scoop, I could easily have met this man. The point, as usual, is to demonstrate how remote pockets of America could easily be exposed to current, even avant garde, architectural thinking. 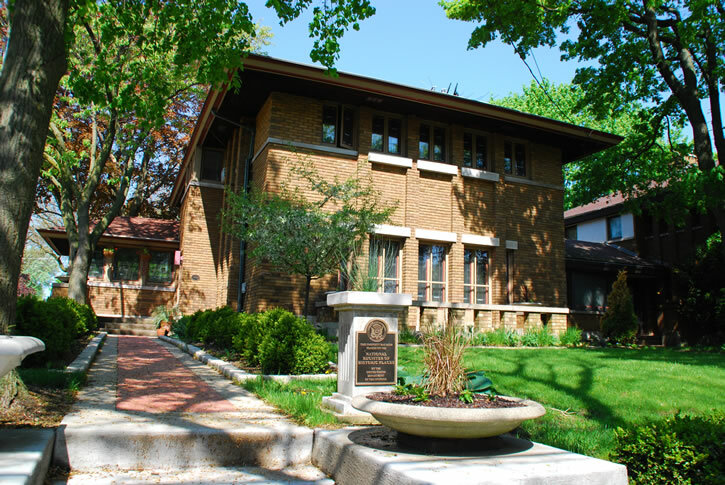 And lest you think that all of these came to naught, here is a Williamson design in Kenosha, Wisconsin looking very much like the Indiana Limestone proposition. 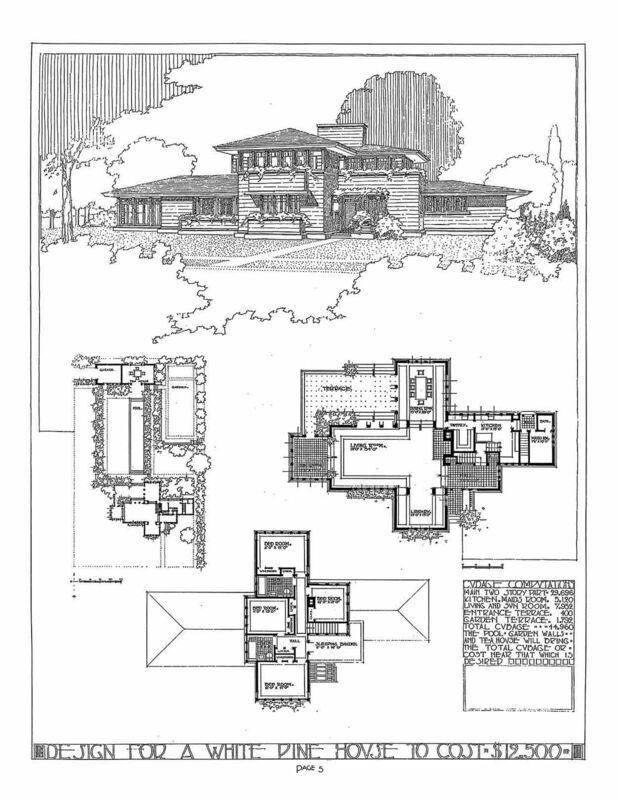 One of Wright’s last houses in the Prairie Style was the Allen-Lambe residence in Wichita, Kansas. RBW was an apprentice at the time and, apparently, supervised the Wichita project, then went into private practice. 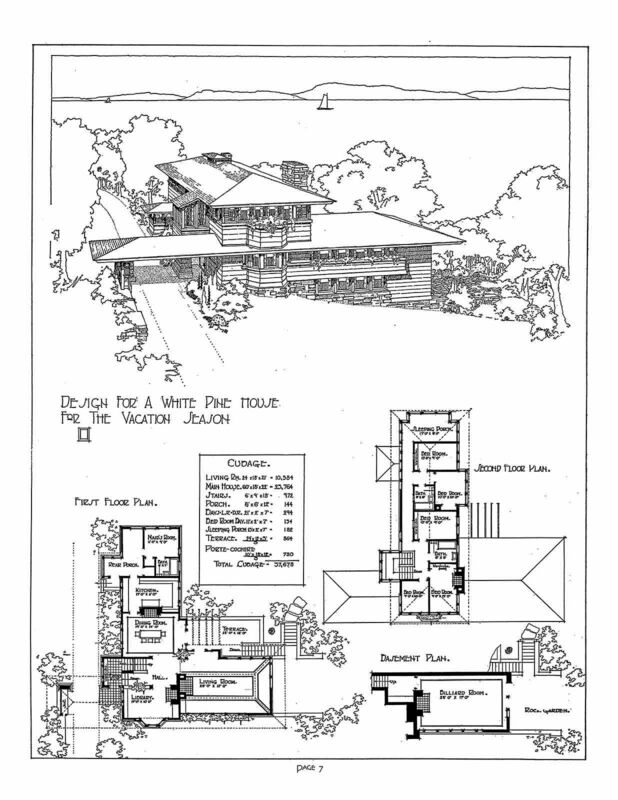 Compare the Allen house with Williamson’s nearly contemporary entry in the vacation house competition. By agincourtiowa in Uncategorized on Friday/29/June/2018 .